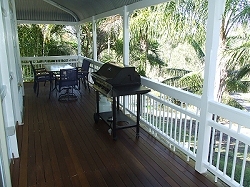 Beautiful, fun, large Queenslander for holiday rental. Recently refurbished. Sleeps 9. 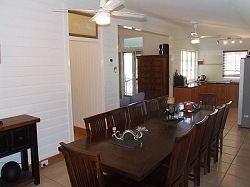 Great for holiday vacations, family get-togethers, couples….On acreage, 6 minutes drive to beach. 15 minutes Noosa & great golf courses. Total privacy…. Lots of wildlife…Enormous pool…great entertaining decks. This property provides the ideal setting for a family or group escape where you can relax to the sound of nature and take advantage of such a peaceful location including mountain walks or just relaxing on the verandah where the only noise you can hear is yourself and the local birdlife. 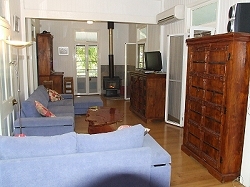 The property is perfect for the Summer or Winter weekend escape or holiday getaway. 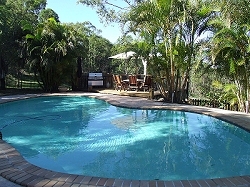 You can enjoy the best of the beach and the bush at this property.